Marshland Adventures has been providing guests with exciting and memorable fishing charters for over over 17 years. We provide first-class, professional charters and take great pride in catering to our guests. We offer four, six and eight hour trips for up to six anglers, as well as multiple boat charters for larger groups. We can even help you arrange accommodations and transportation. If you would like to add a private marsh tour aboard an airboat or an alligator hunt to your Louisiana adventure click here. Contact us to book your private fishing adventure. ​Captain Steve Himel is a Coast Guard licensed captain and has fished in southeast Louisiana for most of his life. He lives on Lake Pontchartrain and monitors the fishing conditions each day to provide his guests with the best opportunity for success. Your captain is dedicated to making your trip - the trip of a lifetimel! Captain Himel is a Pro-Staffer for Mercury Marine and Pure Fishing. He is also a published outdoor writer with articles featured in the Louisiana Sportsman Magazine and others. 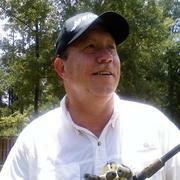 He is a member of the Louisiana Outdoor Writers Association and the National Association of Charter Boat Operators. It is our desire to create a memorable experience for you and your party. We provide all equipment, fuel, bait and even fish cleaning at no extra charge. We can customize your trip to handle large groups as well as single anglers. We can even help you make accommodations and travel arrangements. Your catch is always cleaned and bagged at no additional charge.